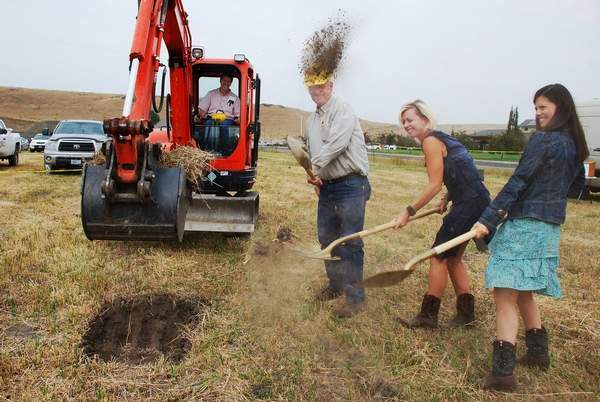 Given the dust that arose when folks walked across the future home of an integrated health clinic in Enterprise during Saturday’s groundbreaking, it’s difficult to image the parcel of land has a high water table. Yet dealing with that challenge will take roughly the first year of effort to build, a partnership between Wallowa Valley Center for Wellness and Winding Waters Medical Clinic. The next step beginning shortly will be excavating the property, formerly owned by Wallowa Memorial Hospital, and allowing it to percolate. Although no part of the design has been finalized because no permits have been pulled, the building will sit with the nearby mountains as a backdrop. The $7 million 17,000 square-foot building on 3.2 acres is designed with one major goal. “This new integrated health services building is a commitment to a myriad of services under one roof,” said Chantay Jett, executive director of Wallowa Valley Center for Wellness. “Our goal is 100 percent access and zero percent disparity. 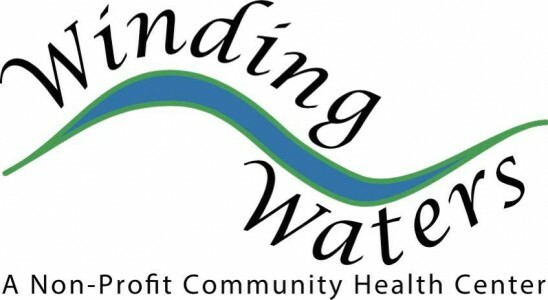 Dr. Elizabeth Powers, who has been CEO of Winding Waters up until last week, said the facility will be designed as a haven for the community where residents can “come with questions and needs” and find open arms. The plan includes a teaching kitchen for Wallowa Memorial Hospital’s Complete Health Improvement Program and space for staff from Building Healthy Families. Jett said both entities are focused on using the most cost-effective possible in the construction process, and utilizing local vendors and tradesmen whenever possible. Oregon Rep. Greg Baretto and Sen. Bill Hansel were guests for the groundbreaking. They will be instrumental in obtaining $1.5 million from state lottery funds to help fund the facility. Hansell said both he and Baretto were excited to see that everything was in place for the funding request to move forward. Also on hand for Saturday’s ceremony was Bill Wilson, senior associate for Westby Associates in Vancouver, Wash.
His firm, which specializes in helping nonprofits with major projects, will assist in public relations and obtaining financing for the medical facility. Wilson was instrumental in bringing a new health clinic to Elgin through a $1.25 million loan from the state. As posted in the Chieftain, July, 2017.